So, every time I need to throw something away that still has some life in it, I try to recycle. Some things can easily find a new home, but others need a bit more thought. Today I’m bringing you a few ideas for recycled garden crafts. 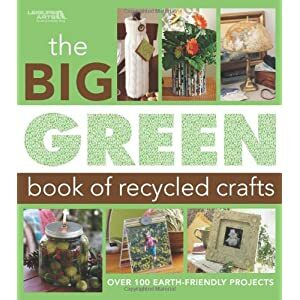 Big Green Book of Recycled Crafts (Leisure Arts #4802) Let your imagination run wild and use these ideas to create beautiful décor or art pieces for your home. Many times you’ll come up with some unique and amazing one-of-a-kind pieces that make your home stand out, which is why crafting is such a popular hobby. If you love arts and crafts and enjoy tending to a garden, recycled garden crafts may be for you too. They’re a great way to express your personality in a unique and fun way while dressing up your garden and it’s so easy to do. You’ll wonder why it took so long to get started. In fact, you probably have many items sitting around your home now that you can recycle to make your pieces. In addition to creating beautiful décor for your garden, you’re also reducing waste that would otherwise end up in the nearest land field so you’re helping the environment. Use the following ideas to create wonderful art pieces using recycled items. 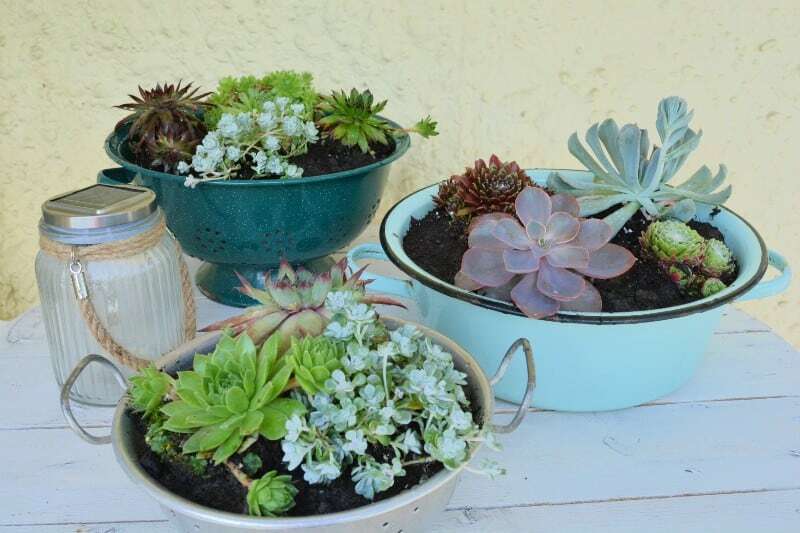 Your home may become the envy of the neighborhood and they also make great conversation pieces or gifts for garden lovers. Everyone will want to know more about these unique items and where they came from. 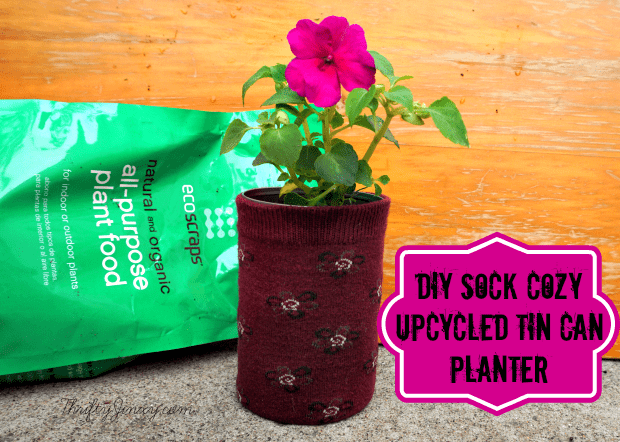 DIY Sock Cozy Upcycled Tin Can Planters – Thifty Jinxy – This is a great project for the garden and it’s super easy to do. When you need a small planter or you’re trying to save money on your planters, this is a great idea. 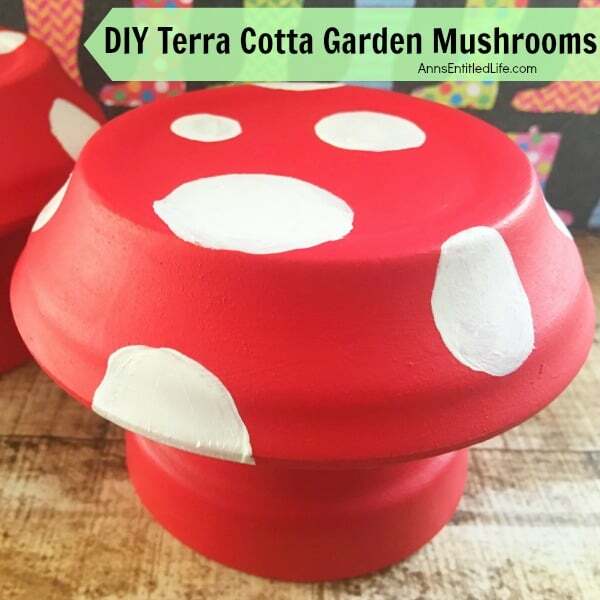 DIY Terra Cotta Garden Mushrooms – Ann’s Entitled Life – These are SO cute and they’re easy to make. They’ll look good in your garden, or to decorate your porch, or around other lawn plants and flowers. Hiding Painted Rocks – P.S. I love You Crafts – This is both a craft and an activity. If you haven’t heard of the painted rock game yet, you’re in for a treat. 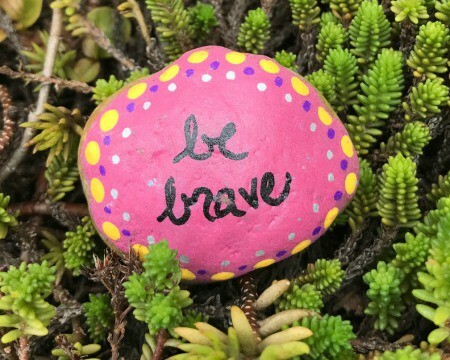 Basically, you paint small smooth rocks with designs of your choice and then you hide them in the community for others to find. 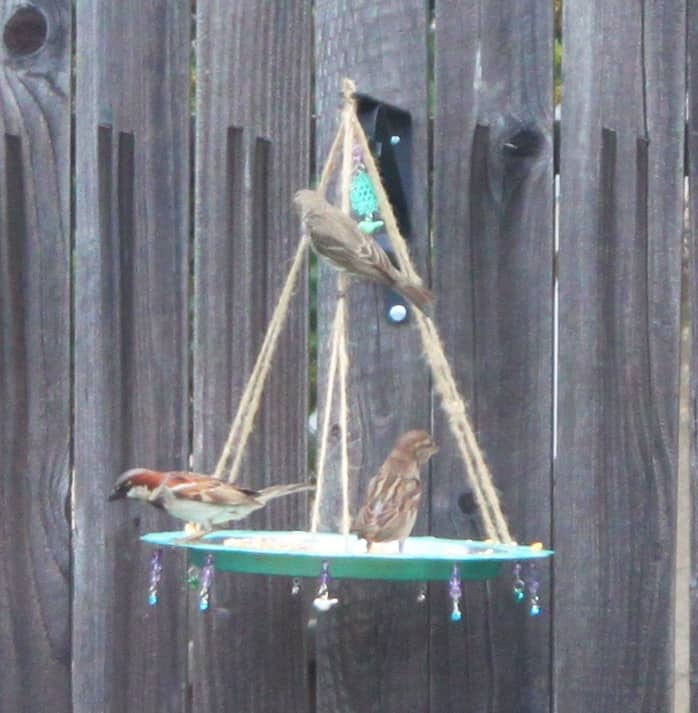 Upcycled Bird Feeder – Cutesy Crafts – Fall is the perfect time for feeding birds and this upcycled bird feeder is the perfect project to help you do so. 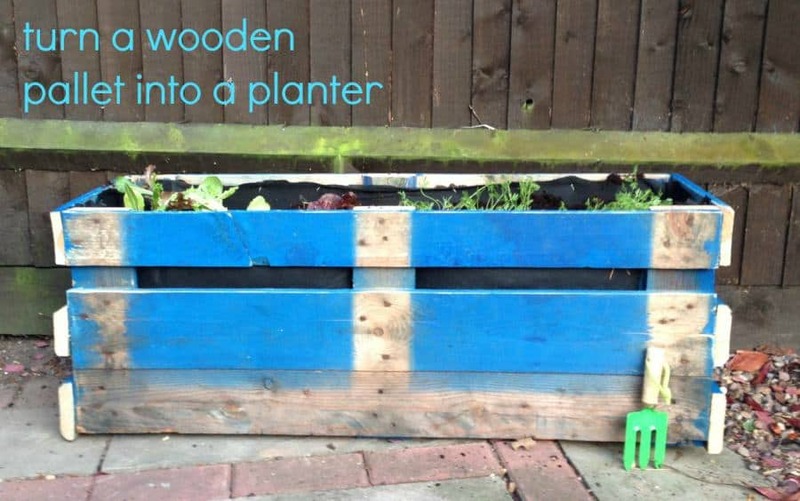 How to Upcycle a Pallet into a Planter – The Gingerbread House – Here’s another great upcycle project. Are you wondering what you can do with those old pallets? Why not turn it into a planter? Cable Reel as a Stand for Plants – Vicky Myers Creations – Here’s another upcycle trick for your plants, also using wood. This one features a cable reel. Paint it and use it to place your plants. 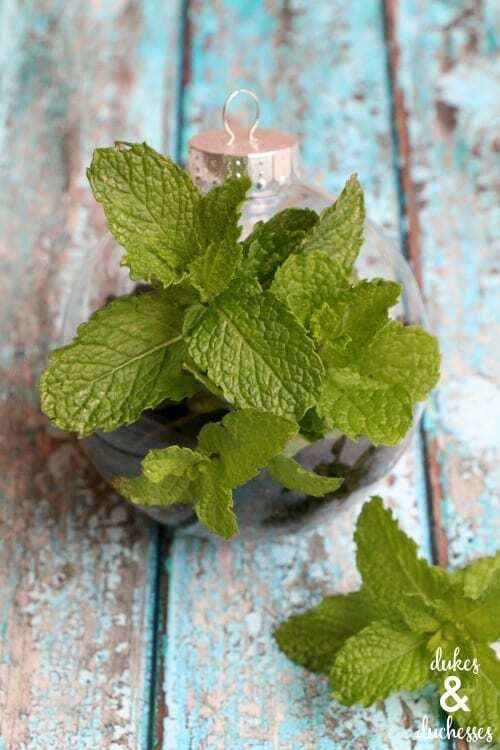 DIY Herb Terrarium – Dukes and Duchesses – Here is a fun craft you can do with recycled materials and it’s very simple to make. It’s made from a Christmas ornament. 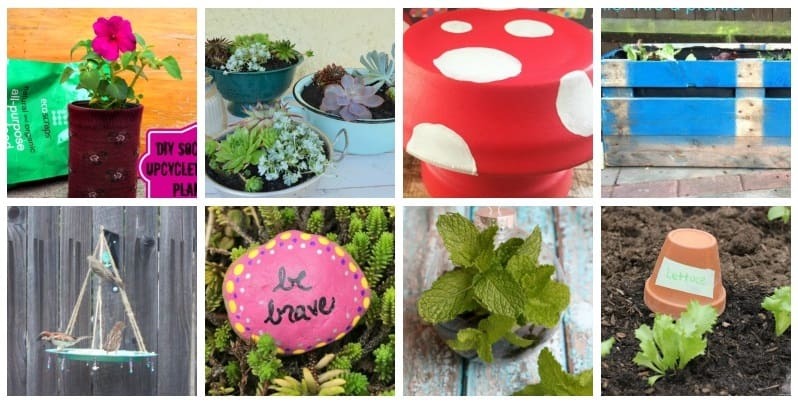 Garden Plant Labels DIY with Terracotta Planters – Confessions of an Overworked Mom – Here’s a fun and useful DIY project for the garden. 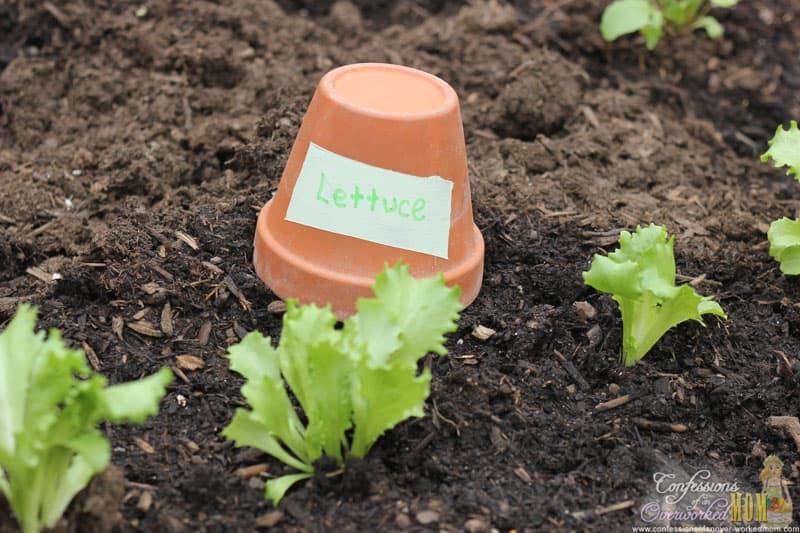 You can use terracotta planters to create label markers for your garden. 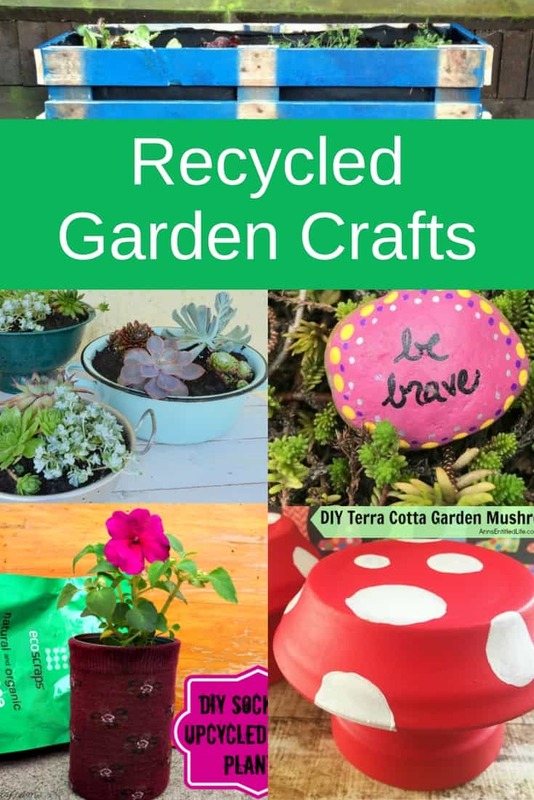 Now that you have these wonderful ideas for recycled garden crafts, you just need to decide which ones you want to do first.